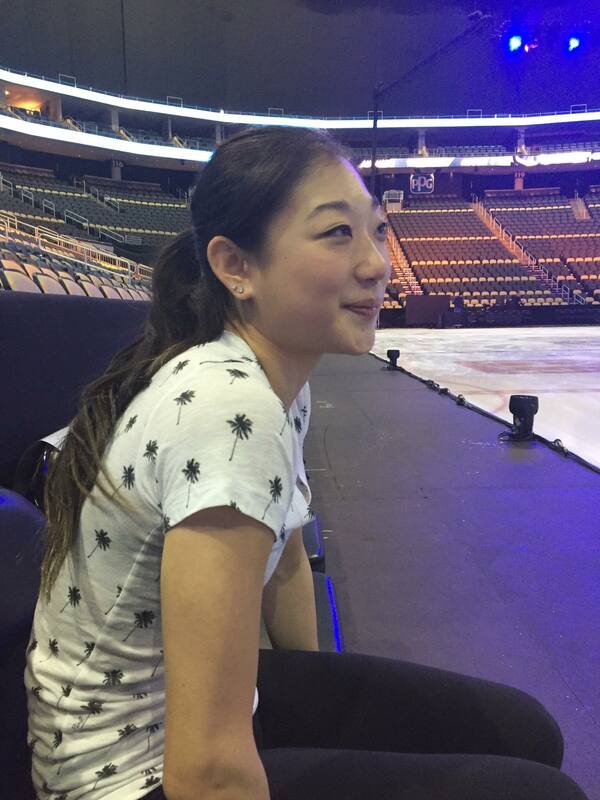 PITTSBURGH, PA — Mirai Nagasu says she is having the best time of her life right now. The 2018 Olympic team event bronze medalist and current U.S. national silver medalist, who made history and headlines by becoming the first U.S. lady to land a triple Axel at the Olympics, is currently traveling the country with her fellow Olympians on the Stars on Ice tour, and will be making her dancing debut on ABC’s Dancing with the Stars: Athletes television show on April 30. “I’m super excited to compete on Dancing with the Stars,” Nagasu said before the Pittsburgh Stars on Ice show on April 27. Nagasu, along with fellow Olympic team event bronze medalist and good friend, Adam Rippon, will be competing in the show’s four-week mini-season that features all athletes. Rippon is also a part of the cast for the 22-city Stars on Ice tour. The two have been rehearsing for the dance show while traveling with Stars on Ice, which started in Fort Myers, Florida, on April 6. “A little caffeine never hurt anybody,” she joked. The Arcadia, California native, who celebrated her 25th birthday on April 16, will be dancing with professional dancer Alan Bersten, 23, who competed with singer/songwriter Debbie Gibson on Season 25. Bersten has been traveling with Nagasu so that they can train for the show while she is on the road for Stars on Ice. Bersten did not travel with her for the tour’s shows in Pittsburgh, Detroit and Chicago, April 27-29, because he was needed in Los Angeles to learn the choreography for the professional dancers’ routines for Monday’s show. “I’m on my own right now. I think Adam and I will probably rehearse together (this weekend),” she said. Nagasu and Rippon will join their partners and the rest of the DWTS cast following Sunday’s Stars on Ice show in Chicago. They will take the red-eye flight out to Los Angeles. Because they are missing the cast rehearsal that takes place on Sunday for Monday’s live show, Nagasu and Rippon will begin preparations for the live show at 6 a.m. Monday. Nagasu says they need to learn the opening group number in addition to taking part in dress rehearsals and other preparations for the live show. Nagasu was out in Los Angeles last week to do a preliminary rehearsal on the stage and to run her dance in front of the cameras. Nagasu says she and Bersten will be dancing a salsa to Meghan Trainor’s “No Excuses” for their first dance on Monday. Nagasu also gave Figure Skaters Online some details about her costume for the season premiere. While Nagasu has competed for the judges and in front of audiences before, one thing that she says will be a new venture for her is performing for the cameras. And just like figure skating where her fate lies in the hands of the judges, Nagasu will have no control over if she stays or goes home. It’s all in America’s hands, and with Rippon and Nagasu both competing, figure skating fans will have to split their votes if they want to see their 2018 Olympic favorites on the ice both make the finals on the dance floor. “Maybe they can make two accounts. That would be amazing,” she laughed of the predicament for skating fans. And Nagasu says there’s no competition between her and Rippon either. If Nagasu and Rippon need advice about making it far in the competition, they don’t have to go too far. 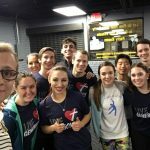 Their Stars on Ice cast mates, 2014 Olympic Champions Meryl Davis and Charlie White, know exactly what it is like to balance the rigorous training and demands of the show with traveling and performing with the tour. Davis and White competed on Season 18 of the show, which coincided with the 2014 “On Top of the World” Stars on Ice tour. Davis won the coveted Mirror Ball Trophy with her partner, Makim Chmerkovskiy, and White finished in fifth place with his dance partner, Sharna Burgess. Though Nagasu says she has been dancing more these days since the competitive figure skating season ended, she is still skating between three to four shows a week with Stars on Ice. Nagasu is performing her “Body Language” by Queen number, along with debuting an exhibition program to “No Good Deed” from the musical, Wicked, performed by Idina Menzel. After Stars on Ice concludes on May 20 in Portland, Oregon, followed by Dancing with the Stars‘ finale one night later, Nagasu isn’t sure what her future plans entail and whether she will continue competing or not. Editor’s Note: Dancing With the Stars airs on ABC Monday at 8 p.m. (EST and PST). There will be live online-only voting (dwtslivevote.com) during the live broadcast of the season premiere (in the ET/CT time zones) April 30. 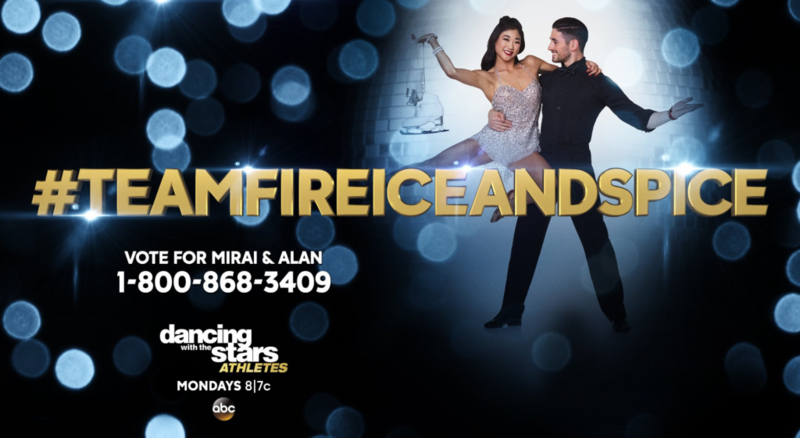 At the end of the first episode, if Mirai and Alan survive the season premiere elimination, fans can vote for them by phone, at ABC.com and on Facebook, which will factor into the week two eliminations. Toll free phone voting will be open nationwide from the end of the live show until 5:00 a.m. ET on Tuesday. Online voting at ABC.com and on Facebook will open at the end of the live show and closes at 10:00 p.m. ET on Tuesday May 1.